When you think of trading in a vehicle for something new, car donation may not always cross you mind. Instead, you may choose to sell the vehicle to a new owner or you may choose to trade the vehicle in after buying a new vehicle from a dealership. 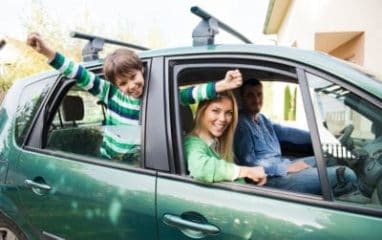 While these can be beneficial options, they also include the hassle of meeting with potential buyers, spending time and money on car repairs, or haggling over a sales price. Why deal with these annoyances when you don’t have to? Instead, donate cars to charity and save yourself the headache. When you donate cars to charity, specifically Wheels For Wishes, you can help to grant the wish of a local child in your community. Wheels For Wishes is a vehicle donation program benefiting Make-A-Wish and when you donate a car, truck, boat, SUV, RV, or motorcycle to Wheels For Wishes, that donation benefits your local Make-A-Wish chapter. Donated vehicles are either recycled or reused to build new vehicles or auctioned off for new owners to use. Earned proceeds from donated automobiles are used to benefit Make-A-Wish, and help to grant the wish of local children. When you donate vehicles to Wheels For Wishes, you also receive an excellent tax deduction at tax time. Unlike many car donation charities, Wheels For Wishes is a 501(c)(3) nonprofit organization. Our low overhead allows us to make the most out of each and every donation, while also getting you the highest possible tax deduction. We accept most makes and models of vehicles, whether vehicles run or not, and get you a great tax deduction. Plus, you are getting rid of a vehicle in the easiest way possible. Wheels For Wishes is a free and easy service and all we need from you is your donated vehicle! At no cost to you, we pick-up or tow away vehicles—just check out our Chapter Locator to find the Make-A-Wish chapter in your area. Title requirements vary by state, but if you have questions regarding the title of your vehicle or the donation process in general, please call us to speak with an experienced vehicle donation representative. We are here to help! You may also wish to visit our FAQ page for answers to many popular car donation questions. At Wheels For Wishes, not only do we help Make-A-Wish grant the wishes of children with critical illnesses, but we also care about the planet. Many people are unaware of the importance of vehicle donation. Not only is it generous, but it’s also green and eco-friendly too! For example, car donation allows many different car parts to be recycled and reused to create new vehicles. Parts like the engine and transmission, tires, starters, alternators, water pumps, and gas tanks can be reused over and over again. According to Auto Alliance, vehicle recycling is the 16th largest industry in the United States. It is estimated to be a $25 billion per year industry and recycling vehicles can provide enough steel to produce almost 13 million new automobiles. Not only does car donation help to grant wishes for local children, but it also helps to keep your community clean and green. Car donation charities like Wheels For Wishes help to make the world a better place. If you have an unwanted vehicle taking up space in your driveway or garage, please donate it to Wheels For Wishes, benefiting Make-A-Wish. Your car donation will be transformed into a magical wish for a child, and you can truly feel great about that. To donate a vehicle, please call 1-877-431-9474 or fill out our online donation form. Your unwanted vehicle has the potential to put a smile on a child’s face while also making the world a little greener. Donate cars today!